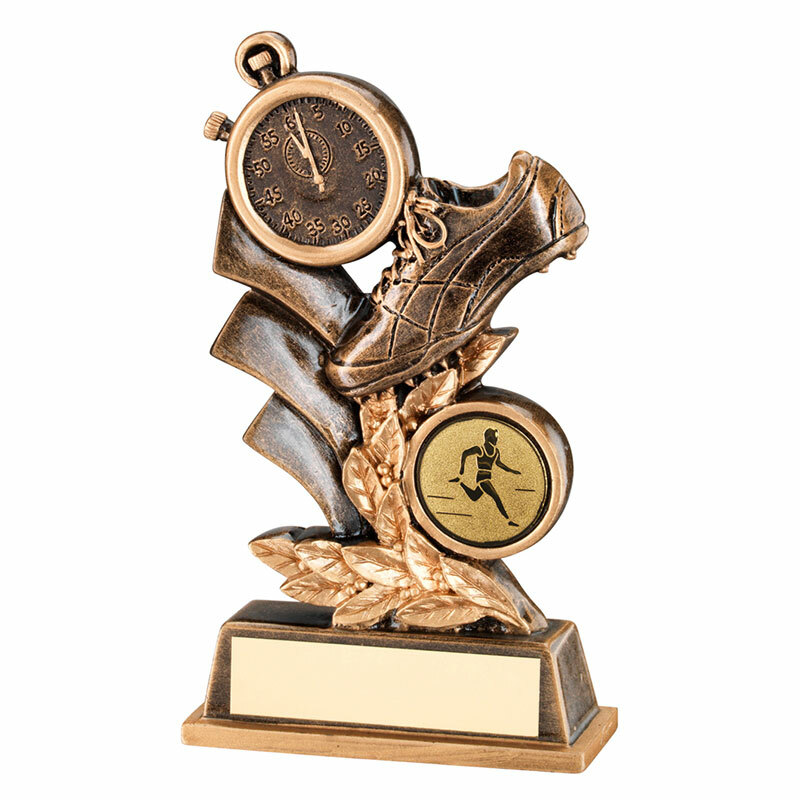 Detailed resin athletics running trophies in antique bronze and gold colour finish. 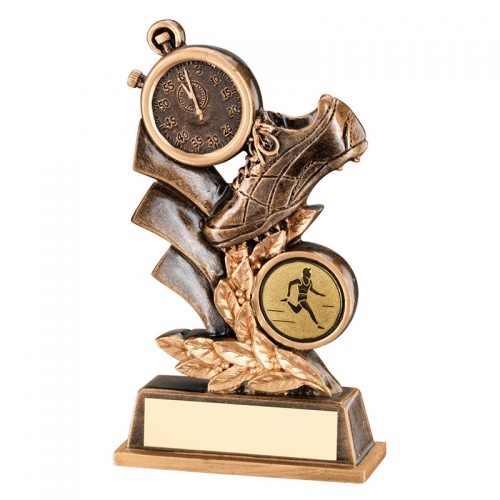 Standing 5.75in (146mm) tall, these runners trophies feature a running shoe, stopwatch and 1in athletics centre along with a laurel wreath garland all set on a bevelled base with metal engraving plaque. They are offered here with low cost engraving of the base plate.